The WaveLight® Refractive Suite from Alcon is an advanced form of technology that provides the most customized, precise LASIK procedure available today. It analyzes the surface of the eye, taking into account its unique curvature and features. Dr. Moore can then use that information to adapt treatment in an extremely accurate way to that individual eye. The WaveLight Refractive Suite can, therefore, offer the most optimized, natural shape for an ideal visual outcome. Other forms of LASIK procedures rely on the patient’s corrective prescription to determine how to reshape the cornea. Therefore, all of the patients with the same prescription would be treated in the exact same manner, despite differences in their curvature and the overall topography of their eyes. In contrast, the WaveLight Refractive Suite creates a much fuller, more detailed image of the eye, helping Dr. Moore choose the most effective correction to attain the best possible vision for that specific eye. 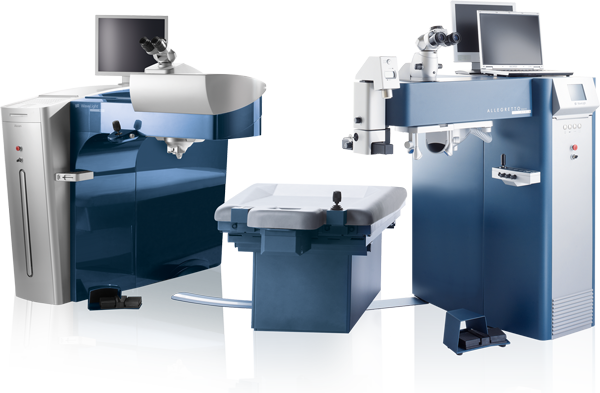 The WaveLight® EX500 Excimer Laser offers a wide range of customization options for your unique eyes. Dr. Moore will perform an individualized laser vision correction treatment just for you that can result in crisp, clear vision.